Is the "Europe's poweder keg" coming to an end and the beginning of its European integration? If someone is thinking that European integration (at least for a while) has ended with the fifth enlargement and with the entering into force of the Lisbon Treaty, is wrong. The integration processes are yet to start as the euro crisis, unleashed by Greece, shows. Nevertheless, geopolitical processes press the Union to start considering the next stage of enlargement. And here we are not going to talk about the "certain" future members like Croatia and Iceland but about the Western Balkans. There is a serious activation in the last months of international efforts exactly in this direction. 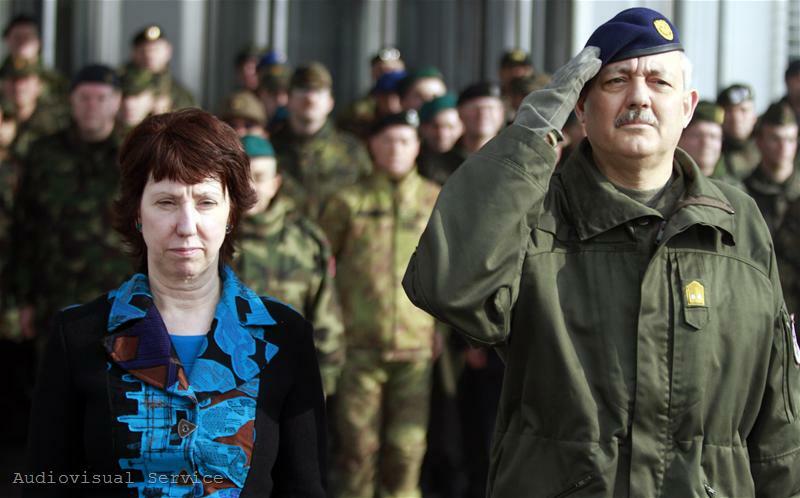 First it was the landmark choice of the new EU High Representative for Foreign Affairs baroness Catherine Ashton to make one of its first international visits in the Balkans. There is an obvious movement in the US and Bulgaria too. I put these two countries in one sentence because hardly someone missed several quite important facts. 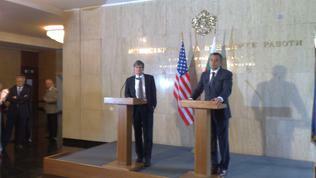 Firstly, after becoming Minister for Foreign Affairs of Bulgaria Nikolay Mladenov made his first foreign trip to the US. Then his team organised the first ever in Bulgaria's recent history tour of our foreign minister of the Western Balkans, which was again accompanied by a trip to Washington. Furthermore, the coincidence was such that his Balkan tour started from Skopie where minister Mladenov landed directly from the American capital. Then very important figures visited Sofia: the CIA chief Leon Panetta, the assistant Secretary of State for political issues James Steinberg, the German Minister of Foreign Affairs Guido Westerwelle. 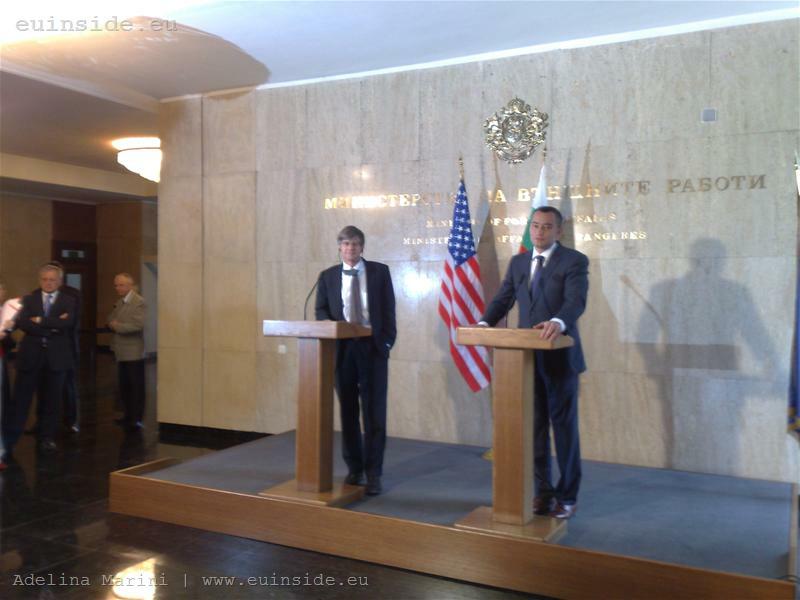 Initially I thought such an activation of American diplomacy through Bulgaria is not quite healthy but then I put together some more facts. 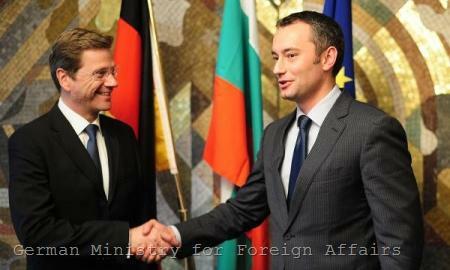 Nikolay Mladenov's tour did not happen without the knowledge of the European Enlargement Commissioner Stefan Fuele who also visited the Balkans. Besides, the Bosnian capital Saraevo hosted the first in ten years time high level meeting about the Balkans. This meeting gathered together Lady Ashton, Stefan Fuele, the EU foreign ministers and their counterparts from the Western Balkan states. Mr James Steinberg was also there and then he flew directly to Sofia. All this shows something very important - geopolitics is getting world diplomacy out of the daze of Iraq and Afghanistan. My hypothesis is that the growing role and ambition of Turkey in the Middle East area as well as the too distant EU perspective of the country is creating a vacuum in the intermediate region where the Balkans are situated. Not one or two experts in this field have said that the only way to achieve long-term stability of "Europe's powder keg" is its European perspective. 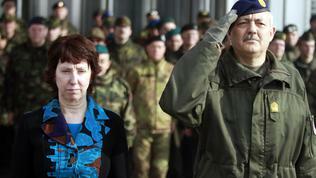 And Bulgaria appears to be the country considered as being the best partner of Western powers in achieving this goal. Maybe because the country has almost no unsolved issues with its neighbours, and because it is trustworthy (after the words of James Steinberg) for all factors in Bosnia and Herzegovina and, although it has recognised Kosovo's independence, Bulgaria managed to keep good relations with Serbia. Very much different is the question whether Bulgarian diplomacy is ready for such a responsibility but as it becomes clear from the diplomatic offensive in Sofia, obviously no one is expecting our country to do the job on its own. And because the issue is complex and perceived (especially in the Balkans) in various ways, euinside decided to ask for the opinion of two experts who spent a lot of time in the Balkans. We asked both men the same questions and the answers are more than interesting, showing that even for an external unburdened eye the issue is not less complicated. The first question we asked Kristof Bender, deputy chairman of the European Stability Initiative and Arnaud Danjean, an MEP and chairman of the Defence subcommittee to the Foreign Affairs Committee in the European Parliament, was whether the EU had been ignoring the Balkans for the last 10 years, especially Bosnia and Herzegovina. According to Mr Bender the EU is not ignoring the Balkans just because until 10 years ago Miloshevich and Tudzhman were still in power. Wartime leaders dominated Bosnia’s political scene. Macedonia was drifting towards civil war and in Kosovo it was not advisable to walk around speaking Serbian. Currently the picture is very different - the region has witnessed a drastic demilitarisation. It is true that still there are diverging interests of the Balkan’s different ethnicities, but they are now negotiated within the frameworks of democratic political systems. And EU's role is obviously strong since everyone is preparing for accession and some are already members or are on their way - Slovenia (EU member) and Croatia which is expected to join in 2012 or 2013. 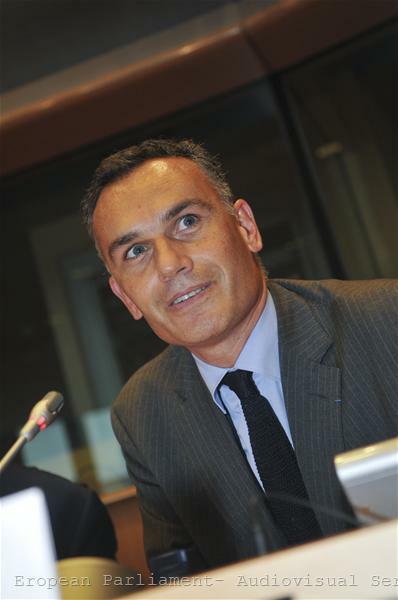 Arnaud Danjean also shares the opinion that the Balkans have remained high on EU's agenda and enumerates the number of initiatives: the military operation Concordia in Macedonia, Althea in Bosnia, the civil operations also in Macedonia, Bosnia and since recently in Kosovo (which, he says, is the most important for the EU). Likewise Kristof Bender, Arnaud Danjean outlines the significant changes that have occurred in the region since the 90s when the EU indeed looked powerless. In the last years EU's actions or inactions toward the Balkans, as well as the accession of Romania and Bulgaria totally unprepared for membership, often raised the question whether the Union actually understands the problems in the region. Kristof Bender says that the problem is not that the EU ignores the Balkans or that it does not understand the problems of the region but rural underdevelopment, lacking competitiveness, high unemployment, low standards in education, lacking transparency and accountability – these are all problems EU member states have been (and some are still) struggling with. The EU has learned over the last decades how to address these problems effectively and, according to Bender, these lessons were applied very successfully in the accession process that has dramatically transformed the ten East European countries that joined the EU in 2004 and 2007. The problem is, however, that the EU does not apply these tools in the Western Balkans. Arnaud Danjean adds that the EU is not involved in the process of normalisation of the Balkans in a spectacular way but the facts speak differently and he quotes: the visa liberalisation process that has been realised this year. should not be naive", says Arnaud Danjean. "All problems will not be solved by the EU integration. That's why each country has its own work to do to reach the European standards". Both, however, refrain from forecasting when the Western Balkans could join the Union but emphasize that there is no need to hurry. in this region. I don't see that as a competition. 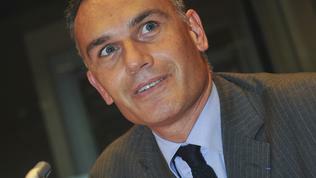 It's a common strategic interest and a common approach of EU and US", Arnaud Danjean adds. And regarding Bulgaria's role in this Euro-Atlantic synchronous, Kristof Bender points out that the Western Balkans are an area of natural interest for Bulgaria. The country's EU membership also offers a lot of lessons how the transformation power of the EU can work in South Eastern Europe. Arnaud Danjean is even more specific - he says that Bulgaria has always had well balanced and constructive approach in all conflicts in former Yugoslavia. Such a balanced position, especially from a neighbouring country, is an indication of a serious maturity of Bulgarian diplomacy and is a way to spread the European approach in the region. The opinion of both experts is being shared to a large extent by the politicians that visited Bulgaria in the last month. Furthermore - Bulgaria is entrusted to do the largest part of the job, no matter the fact that it is not the best example of EU membership. After all, setbacks sometimes are even better lessons than successes. It only remains Bulgaria to manage to have stable and consistent policy toward its neighbours in order to prove that at least in its foreign policy orientation is does not play tango - two steps forward one step back.